It is a "Kristmas" miracle for a four-and-half-month old Greenstone, Ont. puppy with the same name. He has just received the gift of a prosthetic paw, with the help of people from around the world. 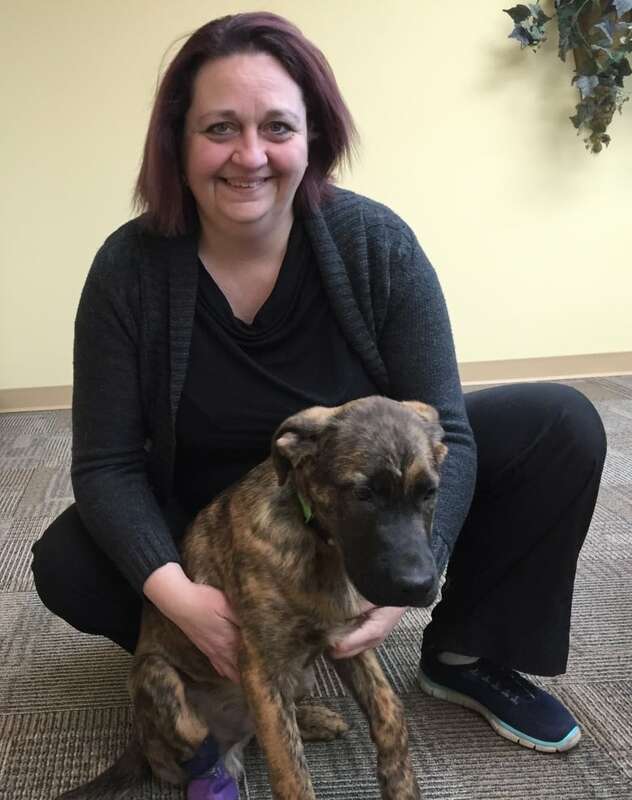 The puppy's hind leg was seriously injured and required amputation, says Luisa Wilson, the president of the Want A Pet page for Greenstone Helping Paws. "I put a post on my personal Facebook page, saying that I needed a Kristmas miracle. I posted a picture of his foot, and everyone started flooding us with donations for him," said Wilson. The donations are a big help to the volunteer organization, located about 270 kilometres northeast of Thunder Bay. The veterinarian bills and the cost of the prosthetic have amounted to about $3,000. "He's actually waiting for a care package to come from England of socks and booties. So he's touched the hearts of not just the local community, not just the Thunder Bay district. He's touched the hearts of pretty much the entire world," said Wilson. K-9 Orthotics in Nova Scotia, and painted by a Greenstone tattoo artist, Mike Magee, at Drowning in Ink. The prosthetic was constructed to grow with the dog, said Wilson, who explained that parts will be adjusted as he grows bigger. 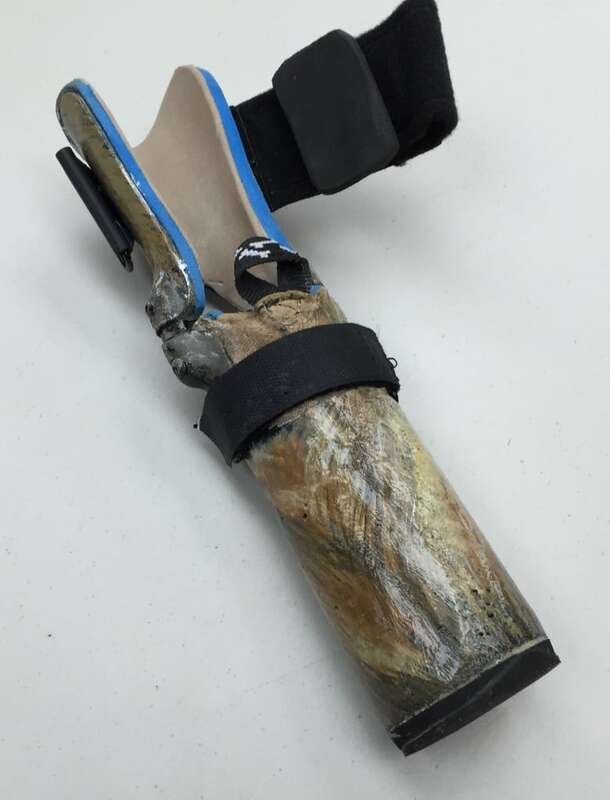 "The stump goes into the base of the prosthetic, and then a strap goes around the back of his leg at the knee joint, then it wraps around the top of his leg," Wilson said. "He kind of hobbles right now. If he's in a hurry, the leg goes up and he goes on three paws." The tripod run should be temporary, as Kristmas continues his rehabilitation and gets more accustomed to his prosthetic each day, she said. The goal is to have Kristmas ready for adoption in about three months, to a home in the Thunder Bay region, where his vet is located. But Wilson admitted it will be difficult to say goodbye. "He is a very special boy and he's going to be a hard one to let go."